Total Foot Comfort offers the best laundry detergents and dry spot cleaners available. These products can clean any active wear you use, keeping it fresh and free of sweat stains and odors. 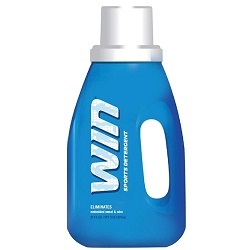 Use our Janie spot remover to get rid of unsightly stains in a pinch or high quality WIN detergent to keep your laundry, active wear or everyday, clean and fresh!